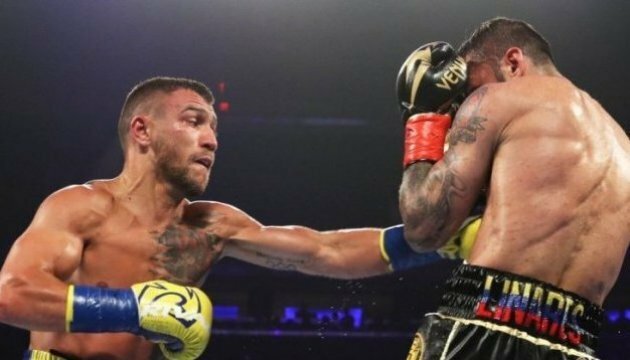 Ukrainian Vasyl Lomachenko has defeated Venezuelan Jorge Linares in New York, knocking him out in the tenth round. 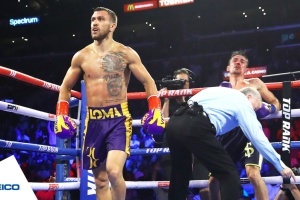 Lomachenko became the WBA lightweight champion, Ukrinform reports. The fight was not easy for Lomachenko in a new weight division. He was even knocked down in the sixth round. However, the Ukrainian boxer quickly recovered, changed tactics somewhat and send the opponent down in the tenth round. Thus, Lomachenko set a unique record by becoming the fastest man to claim three world championships in different weight classes.